We bring forth vast industrial experience and expertise in this business, instrumental in Toughened Glass Partition. 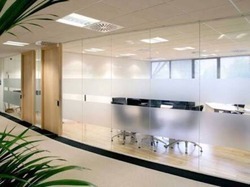 Catering to the requirements of our clients, we are involved in offering Toughened Glass Partition. Banking on the skills of our qualified team of professionals, we are instrumental in offering supreme quality range of Glass Door Partition. Our company holds vast experience in this domain and is involved in offering Aluminum Glass Partition. 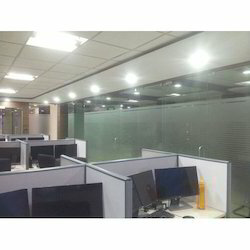 Our company holds immense experience in this domain and is involved in offering wide assortment of Modular Glass Partition.